The ocean is a place of high adventure! Whether you’re looking for new experiences, a family adventure, to get into racing, or any of the other incredible things you can do at sea – you’ve come to the right place. Come aboard with Capt. Mac and learn to sail safely and confidently. With 30 years of teaching experience and over 60,000 teaching miles logged there are few teachers as experienced or dedicated as the Capt’n. Sailing is his love and passion. Whether you’re looking for an introductory day sail, family vacation, get your International Charter certification, or to sail in the British Virgin Islands – you’re in the right place. Looking for a Transport Canada boating school? Capt. Mac’s School of Seamanship participates in the Transport Canada Small Vessel Compliance Program. Try our app for deals & Sail Canada course updates! Sign up for dates, deals and special events! Do you want to feel safe and confident on the water? Looking for a teacher with the right certifications and experience? Want to just get out there and have fun? Capt. Mac is fully certified and teaches all his courses himself. That means personal attention from a master sailor. The Capt’n has over 30 years of instruction, having logged well over 60,000 teaching miles. That’s over 700 sailing courses taught. Capt. Mac has experience not only with “course content” but with everything else you need to safely man a boat. He’s also experienced almost every situation imaginable out on the sea and passes that knowledge onto his students. Which brings us toKinohi, the custom-built 42′ sloop. It’s a work of master craftmanship unlike anything around today. It meets all Transport Canada & Sail Canada safety equipment regulations (including a life raft). And support goes beyond the course. Capt. Mac is always available to help and give advice, and is reguarly helping former students with surveys of prospective boat purchases. So that’s why Capt. Mac. Capt. Mac carries Transport Canada and Sail Canada certifications beyond the course levels. Capt. Mac is a: Transport Canada licenced Master, Sail Canada Yacht-Master, Sail Canada Offshore Instructor, Canadian Power and Sail Squadron JN. Easy-to-learn on custom yacht kept in Bristol condition. 42′ custom sloop with a spade rudder and fin keel make handling a breeze. Large centre cockpit gives plenty of space for sail training, lounging or viewing. Courses lead to Internationally recognized Sail Canada Certification (CYA) and follows Sail Canada standards. This includes: Basic Cruising, PCOC, Coastal Navigation, VHF Radio, Intermediate Cruising, and Advanced courses offered. Or need more sea time logged? Refresher courses and Mileage Maker courses. While onboard, all meals are taken care of compliments of the Captain. Home cooked and prepared and wine with dinner. Get great value for your money! Sail with a professional mariner with over 31 years teaching experience. Sail on a custom built 42′ yacht. As well: seasonal, group, and repeat sailor discounts up to 20% off. Capt. Mac has been dedicated to sailing instruction since 1983 and has been sailing the area since 1975. This is what he does! When the courses are over Capt. Mac will still be there to help you. Whether it’s sailing advice and tips or boat pre-purchase surveys. This also includes help with boat maintenance (like engine issues)! A boat is a complicated vehicle, and Capt. Mac is there to help. See the beauty of our waters – Gulf Islands, Sunshine Coast, Desolation Sound. See areas most locals don’t know about! Smaller class sizes of 4 students for a more personal experience. Students won’t get left behind and courses can be adapted to your skill. Hands on live-aboard courses, the only way to learn! Charters available for private bookings, allowing for a relaxed outing and pace to suit your desires. 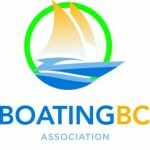 Last day of Vancouver boat show, drop by BC Place booth 46 and say hi. The Vancouver international boat show has begun, drop by booth 46 and say hi.